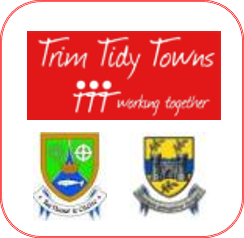 I arrived In Trim, Co. Meath with a group of students on 1 July 2018 in the midst of a major drought. Having never been to Ireland before everything, everyone, and every experience seemed new and foreign to me. Before this trip I had never heard of a Blackfriary or even knew where Co. Meath was. Of course, I had done my background research. I had accumulated a series of articles, pictures, and maps but admittedly no amount of research can offset the reality of actual fieldwork. Even with this research in hand, a new environment is at first quite baffling. Fortunately for myself and the other incoming students there were plenty of friendly staff and interns to help us understand our new surroundings. After a health and safety briefing, we were given a historical overview of the Blackfriary in Trim. The Friary had been established in the 13th century and was inhabited by a group of Dominican Friars until the Reformation. It was later quarried out by builders in the 1750s for materials such as stone and lead. In its time it was one of the larger Friaries in Ireland, having a cloister and a second courtyard around which are more buildings as yet unexplored, an array of architectural features made of imported Purbeck marble and stained glass. At the conclusion of our briefing we were taken on a tour of Trim Castle which is the best-preserved example of a Norman castle in Ireland. On the second day we began excavating. With wheelbarrows laden with tools we were led to an open cutting on the far side of the field by supervisor Ian Kinch. Having both volunteered and worked as a cultural resources management archaeologist in America I already had an idea of what may be considered culturally important on an excavation, or survey, in Virginia, New Hampshire, or Maine. However, a medieval friary was entirely outside of my experience. While few elements of the structure are visible above ground, what lies beneath is a remarkably well-preserved foundation. One of the baulks of this cutting contained the remains of a large midden pile, marking the area as a kitchen or storehouse. The area we were about to excavate appeared to be an unremarkable pile of sun-baked rubble in the west baulk of the cutting. Ian told us that it was potentially a deposit of stained glass. He explained that the friary had been quarried out for resources in the 1750’s leaving the site in its current condition. During demolition the stained-glass windows had been broken out and their lead had possibly been smelted into ingots for re-use. As we began to excavate it seemed as though the area was only a pile of rubble with pockets of slate roof tile jumbled throughout. However, soon we began unearthing small bits of shattered glass that had been blackened by time. If the pieces were not examined with careful consideration it was easy enough to mistake them for shards of roof slate. Only colourful glints on the side of a fragment proved them to be different from the rubble. Nearly two weeks passed before we extracted the glass deposit to the medieval floor level. Much of the glass was shattered into pieces too small for conservation. Still, there were many others that were not only translucent but also maintained their original painted patterns. After packing the glass away in finely sieved soil we were left with two full refrigerators of stained glass ready to be shipped to the University of Cardiff for conservation. In our final count we had recovered more than 6,000 fragments of rare medieval Irish stained glass. Not long after resolving the stained glass deposit the majority of the students moved on to their real passion, bio-archaeology. The Blackfriary Archaeological Field School actually specializes in this. They worked with Dr. Rachel Scott, from DePaul University in Chicago who guided the students through the bio-archaeological process. Fortunately for me the other students’ interest in bio-archaeology presented a unique opportunity to work one-on-one with the cutting supervisor Ian Kinch. Over the coming weeks, I learned how to create intricate plans of the cuttings and the remains of the Friary’s architectural features. This cartographic experience was furthered by supervisor Laura Corrway, who provided me with advanced knowledge of total station usage. By combining these processes, we created detailed plans of several cuttings. A month into my internship many of the other students departed leaving only myself and the Blackfriary Team, Director Finola O’Carroll and Supervisors Laura Corrway and Ian Kinch. The daily function of the site switched from field school to preparations for the national heritage week. When signing up for the field school, you are required to choose between several modules and I chose field excavation and community archaeology. Most of my first month was spent in field excavation, but because of several summer events I quickly switched over to a role in community archaeology. Community archaeology is slightly out of the realm of everyday archaeological fieldwork, as it involves preparing a site for the public and then leading them through the excavation and post-excavation work. 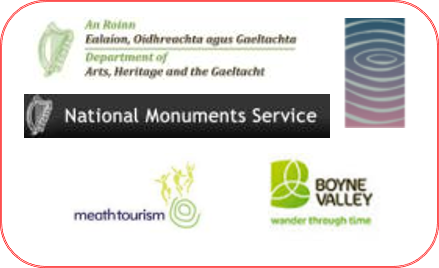 Community archaeology and public access to archaeological data is essential if we want the public – the ultimate owners of the archaeological heritage in Ireland – to understand and appreciate archaeological practice and what it has to offer. Fortunately, events like community digs have become increasingly popular over the past few years, allowing the public to have direct experience with excavations and the work of archaeologists. 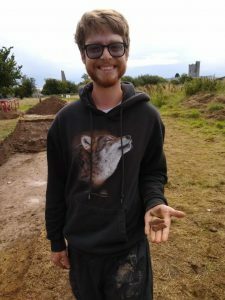 Interning at the Blackfriary archaeological field school provided me with the opportunity to gain valuable insight into archaeological field work and also community archaeology, but it also provided another function. I will be starting an MPhil programme at UCC this autumn and having never been to Ireland prior to this, my time at Blackfriary allowed me the opportunity to adjust to my surroundings both archaeologically and culturally. Great post which gives insight to the work at Blackfriary. Very interesting and informative!